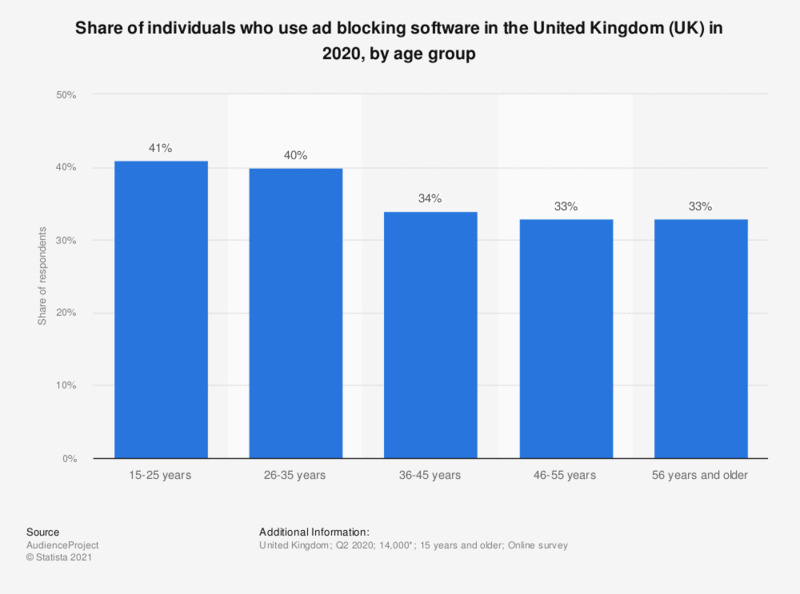 This statistic shows the results of a survey on ad blocker users in the United Kingdom (UK) in 2018, broken down by age groups. According to the survey, 39 percent of internet users aged 46 to 55 years used ad blockers in the United Kingdom (UK) that year. On the other hand, 51 percent of interne users aged 15 to 25 year didn't use ad blockers during during the same period.